Two performances are scheduled at the Bishop Fenwick High School Auditorium. Please call 978-531-0444 for further information. The Walk-a-thon allows students to be active participants in the process of raising funds for their school. 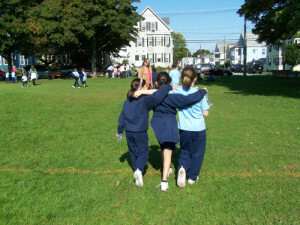 After gathering pledges, students "Walk for St. John's" and in turn collect money for the number of laps they've walked. This is one of the major fundraisers for the school. Bidding begins at 6pm on March 1 and goes to 8 pm on March 15! Log on, register and let the bidding begin!